The main objective of this study is to help blind or visually impaired people to navigate safely and quickly among obstacles and other hazards faced by blind pedestrians in indoor environment. Towards this objective, an innovative approach based on integration of electronic components onto textile structures was realized. By this way, a new wearable obstacle detection system, which can be worn as a garment that is flexible, lightweight and comfortable for the human body has been designed. The proposed smart clothing navigation system would become united part of visually impaired people’s. The smart clothing navigation system is an initial prototype system that combines garment with sensors, actuators, power supplies and a data processing unit. The working principle of the system is based on two main functions: sensing the surrounding environment as well as detection of obstacles via sensors and guiding the user by actuators through a feedback process interpreted in signal processing unit. Within this approach, the design of the smart clothing prototype navigation system is consisted of the review on theories subjecting both visually impaired and smart clothing. Electronic components for smart clothing navigation system were determined by using an algorithm based on fuzzy AHP and fuzzy information axiom. Secondly, integration of electronic components to textile structures was performed. Afterwards, working performances of electronic components integrated to textile structure were analyzed. Then, both electronic circuit and smart clothing have been designed simultaneously. Algorithm for obstacle avoidance has been developed and according to developed algorithms microcontroller programming has been done. Finally, the prototype of smart clothing navigation system has been developed and tested. Herewith, interactive garment development was completed successfully. 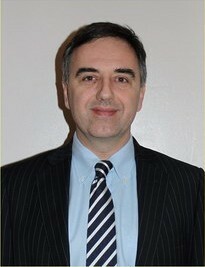 Professor Vladan Koncar is Director of the GEMTEX research laboratory and Head of Research at ENSAIT in Roubaix, France. Prior to this, he was the President of the Association of Universities for Textiles (AUTEX) for 3 years (2007 – 2010). He is currently AUTEX Vice President. Professor Koncar completed his MSc in electronics at the University of Belgrade, Serbia and his Ph.D. in informatics and automation at the University of Lille, France, in 1991. Since then he has taught in fields such as communicative and intelligent textiles, automation, virtual reality, and computer networks. He is Editor in Chief of the International Journal of Textile Science and Technology and Special Editor of the Research Journal of Textile and Apparel, and sits on the editorial board of a number of other publications including the Textile Progress Journal and the Nordic Textile Journal. He served as a chairman of l™C (Intelligent Textiles and Mass Customisation) scientific conferences in 2007, 2009 and 2011 and of Futurotextiles International Scientific conferences in 2006 and 2008.
interests include multifunctional and intelligent textiles, flexible sensors and actuators, and hybrid systems, modelling, identification and control. He is author and co-author of more than 150 scientific articles, patents, book chapters and scientific communications.